Many of you have already started your Hike towards Katahdin, and many of you are about to set out. Let this letter be a source of encouragement to you as you begin the greatest adventure of your life! I remember a day on the Trail during our thru-hike last year when my wife, Moonshine, and I had about 600 miles left. We were perched on the side of the road in a town in Massachusetts eating some burgers before setting out to log a few more miles that day. As I scrolled through Facebook to see where fellow hikers were located, I came across the video of Early Riser (whom we had met much early on our hike in the Smokies) summiting Katahdin. I watched as he summited the final peak and I began to weep uncontrollably. As I watched him see the sign at the End, I was overwhelmed by his experience. 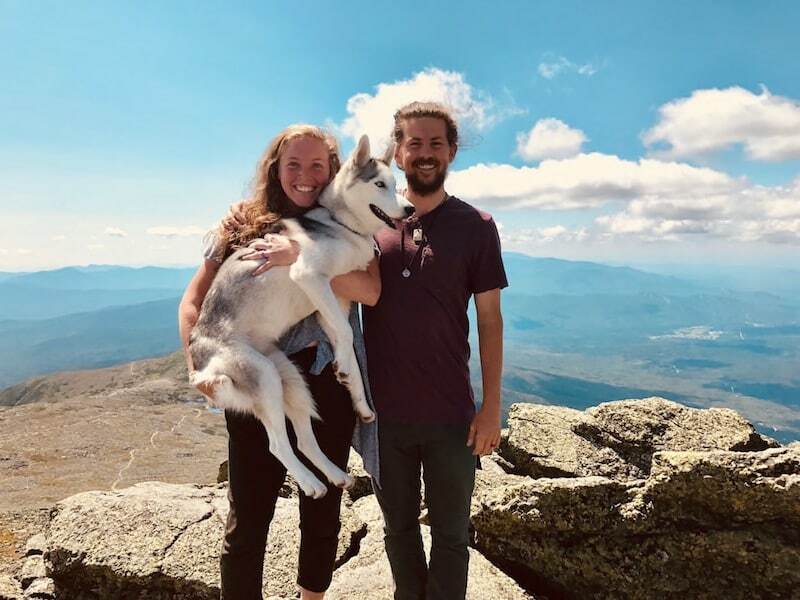 I wanted to be in his position so badly…to finally be at the end and feel the sense of accomplishment that everyone spoke of when you kiss that sign that says ‘Katahdin’. And then, Moonshine reminded me of something. Early Riser’s experience on Katahdin is not mine…. We still had 600 miles to hike (the hardest 600 at that), so it wasn’t fair of me to feel the sensations of already being finished. I had mistaken somebody else’s experience for my own. If Moonshine had not shown me this, I think I would have hated the last 600 beautiful miles of the Appalachian Trail. Instead, those were my favorite miles because I became so much more present. Rather than constantly daydreaming of being on Katahdin and of being done, I started to become more immersed in the experience of thru-hiking. May you always remain present along your hike and never confuse your own hike with another’s. Before we left for the Trail, we made this RIDICULOUSLY MASSIVE SPREADSHEET detailing where we would be each and every day for the next six months. We did this to provide our families some piece of mind, but also to develop a schedule for us to stick to. After our first week, we were already off schedule. And, for a while, we were obsessed with being sure we were hiking enough (but, not too many) miles per day. The miles consumed us. There is a strange culture you will find along the trail where everybody compares everybody by how fast or far they hike in a day. DON’T SUCCUMB TO THIS CULTURE. If you have a deadline and have to be done in four months, I get it: you literally have to hike 20 miles a day everyday just to finish in time! But, if you don’t have a timeline and are somewhat flexible with your budget, then why would you rush the greatest trip of your life? When Moonshine and I stopped worrying about knocking out huge mileage days, that’s actually when we started hiking longer days. It was as if once we stopped being consumed by the miles, we started consuming the miles. By the end of our thru-hike, we could (semi)-comfortably hike 25+ miles in a day, not by trying to go fast, but by remaining steady. Moonshine and I are huge advocates for taking your hike slowly. And, we believe if you do hike slowly–taking in all of the sites, sounds, food, and people–then you will find the wisdom in the phrase ‘Slow is Steady and Steady Is Fast’. You will find so much beauty along the Appalachian Trail. You will experience moments of transcendence in viewing a scenic overlook, but also profound imminence with the people you will interact with. You will find comfort in sleeping on the soft (and occasionally rocky) soil while listening to rain fall upon your tent. You will smirk at the unexplainable toddler-esque character of bears and become perplexed at the grunts of porcupines. You will savor the moments of lapping up water during a hot Pennsylvania day. You will feel life flood your bones in the powerful winds of Mount Washington, and the pleasing warmth of the sun upon your descent. Yes, you will find so much beauty along the Appalachian Trail…but let’s do our part to keep the Trail beautiful! Consciously think about each step you take and all those who have gone before you. Pack out every piece of garbage you pack in. If you see trash along the way, take it with you! Use the privies as they are meant to be used, and burry your poop as you should. Stay on the Trail that many have crafted over the years. Leave No Trace that you were ever there. There is a poetic beauty in the phrase Leave No Trace. As humans, we have a drive to make ourselves known in the world. We curate our lives on social media so others can envy us and we put ourselves on pedestals that are not our own. Living a life in which we Leave No Trace goes much further than picking up trash (but, please pick up trash because it actually does help!). Leaving No Trace means embodying humility and hospitality. Go out of your way to extend yourselves to others so that your trip becomes less about you and more about the world around you. To all of those on the Trail this year, I envy you and I cherish you. Good luck! Wise and very appropriate to the needs ahead fo those on their journey.